Planning To Sell Your Home This Fall? 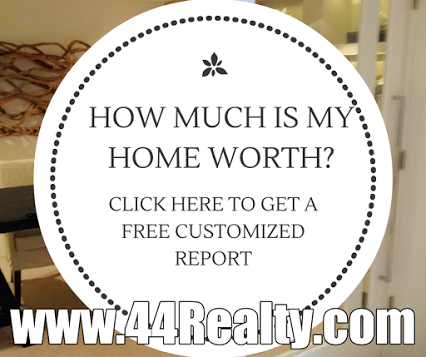 How Much Is Your Home Really Worth? If you're planning to sell your home in the next few months, nothing is more important than knowing the current value of your home. 44Realty would love to help you with a FREE Market Analysis. We will use comparable sold listings, along with our expertise in the marketplace, to help you determine the accurate market value of your home. We invite you to contact us about real estate activity in your area. We have been assisting homeowners market and sell real estate and helping homebuyers find their dream homes since 1989. We are dedicated to understanding the personal needs of our clients and collaborating with them to develop tailored strategies. We structure and manage our business with our focus firmly fixed on what matters to our clients: experienced professionals acting as partners to deliver quick and courteous solutions in the most efficient fashion. It would be our pleasure to assist you in your next Southern California real estate transaction!